Pete Sawyer has a fresh Bike Check up on the Wethepeople website giving us a closer look at his current signature Sterling setup that he’s running these days! You can check out all the photos and full parts list right here! Get in the van, we’re friends of your mother!… The Wethepeople crew are headed out on the roads of Germany to visit shops and get some sessions in along the way! Check out the full details below on when, where and who will be rolling through! “On July 5th the WETHEPEOPLE team will be in Cologne, Germany and getting ready to hit the roads and autobahns for a week visiting BMX shops every single day! Starting from our base in Cologne we will be driving to Bremen, Hannover, Berlin, Stuttgart, and Frankfurt. Our crew consists of Latvian PRO Ed Zunda, Canadian PRO Dillon Lloyd and English PRO Pete Sawyer. Along for the wild ride are German WTP AM’s Mo Nussbaumer and Dima Prykhodko. Expect every stop to include freebies, giveaways, stickers, and as its Germany there should be plenty of BBQ’s and beers, oh and good times, that’s a guarantee. Below is a list of tour dates and details. 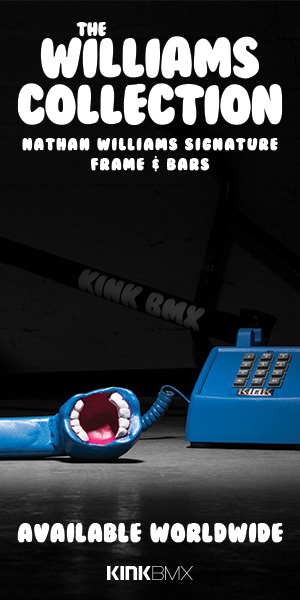 Have you been on the hunt for a new BMX frame? What about some bars and a fork? Have you given Pete Sawyer’s signature Sterling frame, bars and fork from Wethepeople a look yet? Today, were going to take an in-depth look at each of these items giving you all the specs and info along with a ton of close up photos so you can really see the details that make this line unique! Ready? Let’s get into this! Here’s one we spotted floating on the old Facebook today. It looks like Pete Sawyer’s signature Sterling frame and 4-piece bars will be getting a shiny new coat of paint later this year. Here’s a sneak peek look at the new Nickel colorway that will be hitting shops some time around September! What do you think? Wethepeople‘s Mike Curley, Pete Sawyer, Jordan Waters and Ed Zunda loaded up last February and made a trip out to Athens, Greece to see what the place had to offer! They came home with this banger of a video loaded with some amazing riding. This is one BMX video you can’t pass up! Wow, where did this week go? Friday already! That means it’s time for another Four Clip Friday from the guys over at Wethepeople! This time around we get 4 clips from Pete Sawyer putting his pegs to good use at his local park over in the UK! Short and sweet! Take a look! No, not Empire BMX’s Tom Williams (which would be pretty rad to see), but the U.K version! Check out Tom slaying street spots all last summer! This guy knows how to put his pegs to good use, that’s for sure. Here’s a little gem we caught floating around on Facebook. It looks like Pete Sawyer has his own signature 4-piece Sterling bars in the works that work off a tweaked geometry of his 2-piece bars currently available from Wethepeople. 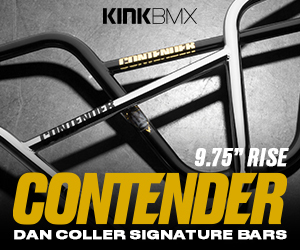 These bars will be dropping later this year and feature a rise of 9.5″, 29″ width, 4-degrees of upsweep and 11-degrees of backsweep! Expect more details closer to the release!